After months of being teased, we finally know what the “sandbox” mode coming to Star Wars Battlefront II will be. Known as Capital Supremacy, it will be mix together ground and arial battles in an explosive, non-linear experience never before seen. It will officially launch on March 26, 2019 as part of a free update. The new mode will be made up of different phases, taking you from the ground to the skies. Ground battles will be made up of two 20-person teams. Battlefields will have five outposts, and both sides will need to try to gain control of at least three of them. Battles are described as “open-ended,” giving you a number of ways to claim victory. 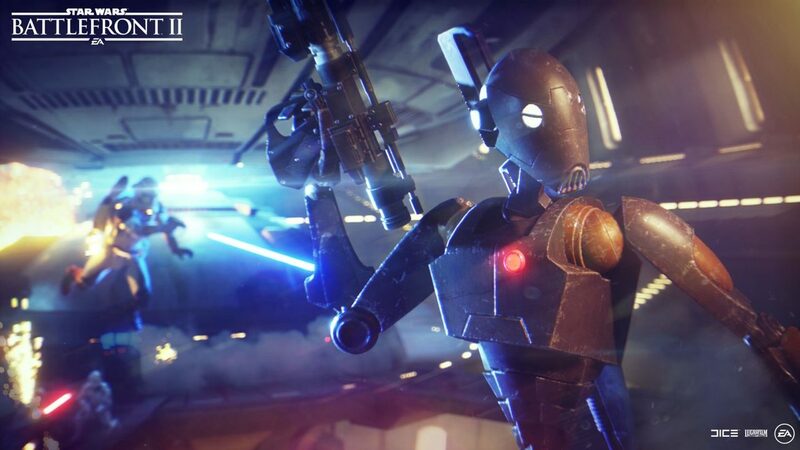 Each team will also have a squad of 12 AI-controlled troopers, the first in a Star Wars Battlefront II PvP mode. The battle then goes to the sky, as both teams will fight over the fate of a capital ship. Though each side has its own goals, the layout of the battle will be the same. While your AI reinforcements stay on the ground, you and your team will need to have expert piloting skills to be victorious. If the attacking side wins by the time the timer runs out, that’s the end of the battle. However, should the defenders be the victors instead, the whole thing starts over, and teams move back to the ground phase. As an added twist, though, the defending team will have a head start by controlling a majority of the outposts. Capital Supremacy will only be playable on the Geonosis Pipeline Junction West when it launches, though it’s likely more planets will be added in the near future. Are you excited to try this new mode out? Let us know!